I got quite a shock when my previously planned bachelor party to Las Vegas got cancelled. 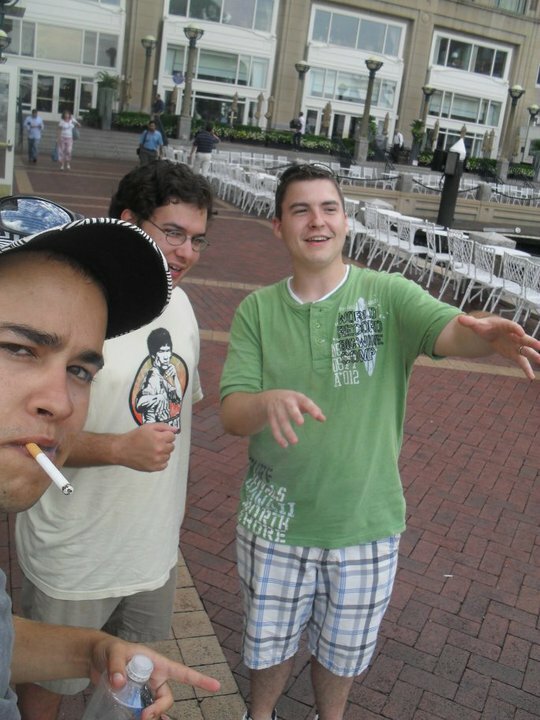 Instead, the guys were looking to come up here and spend some time with me, in the great city of Boston! Having only been here for four months myself, I wasn’t very experienced on what things to do. I took some suggestions from my co-workers, and did some Googling to come up with a pretty solid itinerary. Josh from work suggested Faneuil Hall as a good touristy place. 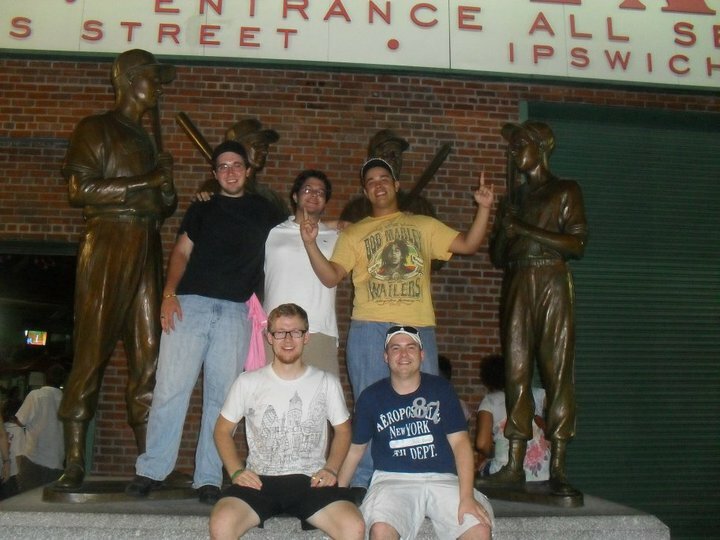 He also got us a connection with a ticket broker to go see a Red Sox game. Kyle suggested a while back to go explore the North End, and Dave Rogers assured us that Brookline was the “safest place in the world”. My friends tried to heed my advise and get a hotel next to one of the subway lines, but all the good spots were booked, or really expensive. Instead, they ended up in Braintree, near my house. Once we got to the trains, we could go anywhere in Boston – but waiting on the bus was miserable out here. They ran about every 30 minutes, but our group had about a 20 minute attention span. We got to meet some interesting taxi drivers though. The first day was simple enough – getting everyone checked into the hotel, then going up to see the Red Sox play the Cleveland Indians at Fenway Park. Those seats were definitely made for skinny Northerns and not wide, Southern people. 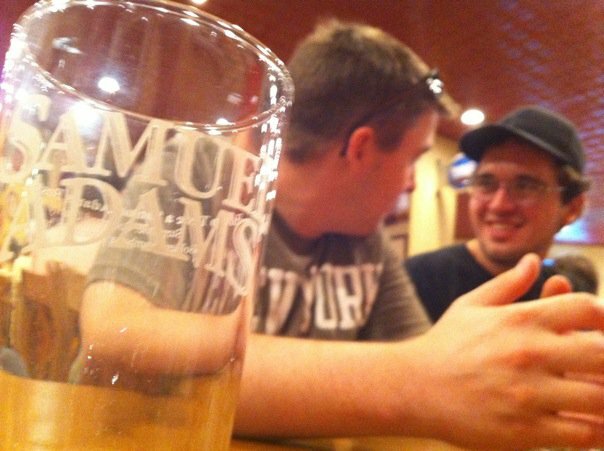 It was a hot, humid night, and we dipped out of the game a bit early to enjoy some drinks at the Boston Beer works. The street performer’s playing Bagpipes made it a cultural experience that we just don’t get in Atlanta. The next day we met some of Scott’s cousins (that’s right – he is half Yank like me) at the park, and walked down to the Eastern Standard. I got to see where a Popeye’s Chicken is soon to be opening! After lunch, we toured Back Bay, and walked to the Prudential Center, where we strolled past the Cheers bar, and ate at the Cheesecake Factory. The booze cruise on the Boatonian around the harbor was the biggest drinking night for us. What a perfect combo of pleasant weather, beautiful scenery, being on a party boat with a live DJ, and a cash bar! 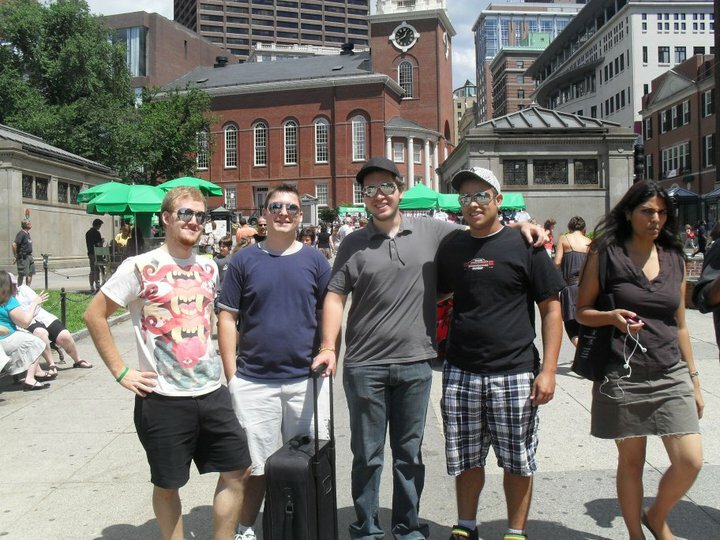 We opted for a more liver-friendly next day as we hit the freedom trail to get some historical sight-seeing in. I am a history nerd, so I hope I didn’t push too hard for them to go! We started at the Boston Common, and made our way to the sight of the Boston Massacre, then took the Park Street station down to the Samuel Adam’s Brewery Tour. We had lunch at an interesting local bar named Bella Luna before the tour began. The tour was an entertaining mix between education and drinking. We jumped to the other end of the Freedom Trail (for reasons unknown to a sober person), and saw the USS Constitution (ol’ Ironsides), and the USS Cassin Young. Afterwards, we crossed the Charles, and ventured to the North End, where a Bona-fide Italian citizen gave us an impromptu tour ending up at the Sail Loft. We dropped Scott off in the morning (on two hours of sleep), and set off again about mid-day back to where we left off at the Freedom Trail. We saw a few more sites, and took in the open market at Park Street. We saw some more sights, refreshed ourselves at an Irish Pub, then made our way to Mike’s Pastries. Corey had to leave for the airport so we said goodbye while grabbing some Cannolies. We enjoyed them in the cigar lounge next door. That evening Kristin joined us for a meal at another authentic Irish Pub near Park Street. The remaining crew crashed at my place, then I took them back to the airport around mid-day. 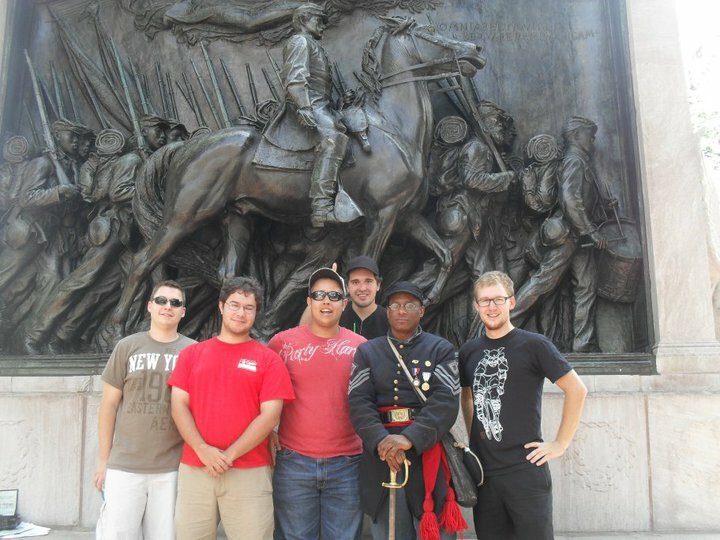 I had a great time, and really got to explore some things in Boston that I have been wanting to do for a while. At the end of the week, I have now been on every train line, and can probably point on a map where different sections of the city are. I feel like a local now! Thanks for coming up guys – I had a blast and I hope you all did too. You better lose those Boston accents before you get back so you don’t get beat up in an alley! Update: Thanks goes to my wife for shuttling us around Braintree. It really is much appreciated. Previous postThere’s no earthly way of knowing. Which direction they are going! Oh and your welcome for the free taxi service. Don’t mention it.